I recive only one spiel 14 tile! Thanks! They were on sale as well. 10-11 Euro. They are not for me though. Gonna contact the buyers later during the night or tomorrow. They were on sale as well. 10-11 Euro. They are not for me though. Gonna contact the buyers later during the night or tomorrow. Thank you very much, Yellow! 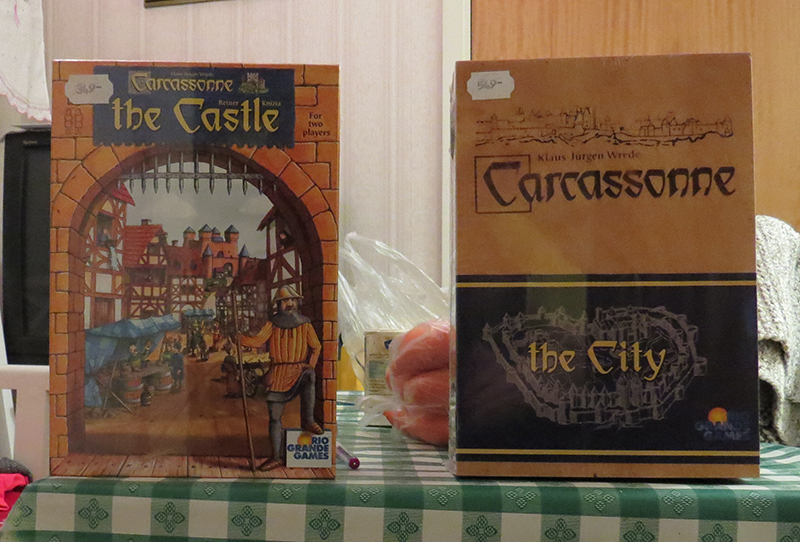 I found The Castle on sale, for 15 euro.. But I dunno if I want it or not.. Isn't it a standalone game? hmm.. Sorry.. I was a bit too late to put it here..
For me that was OK.. I didn't really want it.. But for those who wanted it, sorry about not being faster to put the info here.. The postman has delivered me a few goodies as well. Looking forward to playing them.